Julliet Makhapila. She is a child and friend of her beloved universe and creator . Her love and passion is the desire in developing the entire world and caring for their beautiful planet. She loves community work and enjoy training, mentoring, empowering, inspiring, volunteering, reading, theatre, and helping others. Her back ground is on Applied Social sciences and her degree is in joint Bsc Health Studies and Social Policy. 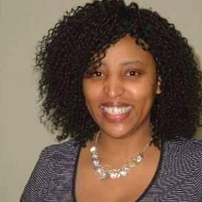 She is a qualified trainer, advocate in disabilities, counselling skills and manager. Their work is in community development, advocacy, education, elderly, children, youth, women and people with disabilities. She is a consultant and the founder of Diversity in Kenya communities, UK Africa /Nigeria/Kenya/sierra Leonne/Ghana/Zimbabwe / Malawi Diaspora Forum which all provide platforms of learning education and forums and mainly targeted to grass root community building , to helping improving knowledge and skills , bridging the gap and helps to provide support on empowering all their communities to enhancing local development. Her mission for charity is transforming Lives and touching lives and her heart Loves the four Letter word. LOVE. Here in UK their work currently focuses on mentoring, empowering the youth , inspiring women in to leadership, enterpreneurship, Consultancy, education and learning , capacity building and training. Advocacy representation and mental Health well being, fight against domestic violence , Promoting Peace across the world, fight against Social inequality ,environment and greener spaces and improving welfare for all. She got involved with Women Economic Forum because she believe women are great Leaders and women voices for peace in the world should never be ignored.